Wilmington: Scholarly Resources, Inc., 1975. Facsimile reprint. Gilt titles on green cloth. 468pp. A fresh, like-new copy. Publisher's promotional bookmark for the series laid in. A large, heavy book which will require extra shipping charges - cannot ship outside U.S.A.. Hard Cover. Fine/No Jacket. Folio. Halifax: Dtours Visitors & Convention Service, 2002. The captivating story of Canada's worst disaster and American relief efforts. 133pp.. Soft Cover. Very Good. Oblong Large Octavo. New York: Alfred A. Knopf, 1958. 1st Printing. Hard Cover. Very Good/DJ VG (sev. small edge tears). Octavo. McClelland & Stewart, 1980. Dust jacket worn at top of spine and along top rear edge. Quite presentable within new clear Brodart sleeve.. Hard Cover. Very Good/DJ Good. Large Octavo. Vancouver: Trans Mountain Oil Pipe Line Co., 1954. Ex-library with usual markings and labels.. Hard Cover (x-lib). Good/No Jacket. Thin Quarto. Goodread Biographies, 1988. 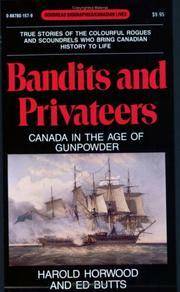 Convincing proof that Canadian history is anything but dull, this book recounts the action-filled careers of some of the country's most successful and violent adventurers, licit and illicit. 232pp. A sharp, fresh copy.. 1st Printing. Mass Market Paperback. Near Fine. Canmore: Altitude Publishing Canada, Ltd., 2003. 2nd Printing. Soft Cover. Near Fine. Octavo. Toronto: The Ryerson Press, 1968. Author's personalized inscription on half-title page. Dust jacket in clear plastic sleeve, taped to flyleaves and end papers.. Signed by Author. Hard Cover. Very Good/DJ Very Good. Octavo. Gift inscription ffep. Penguin Books Canada, 1988. 499pp.. Thick mass market paperback. Near Fine. Don Mills: Thomas Nelson & Sons, 1979. 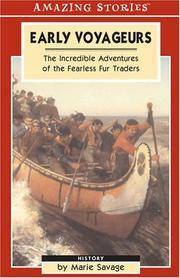 "James McGivern Humphrey tells of a fascinating life, from his early years in New Brunswick, to his peaceful days of retirement in Aberdeen, Scotland. This is an account of Colonel Humphrey's distinguished service in the Canadian Army: his performance in France during World War I which earned him the Military Cross for gallantry; and his duties during the Second World War as the co-ordinator of Auxiliary Services, providing for the after-training needs of the men and women in service." 182pp.. Hard Cover. Near Fine/DJ Near Fine. Octavo. Toronto: James Lorimer & Co., 1989. 234pp.. 1st Printing. Soft Cover. Near Fine. Octavo. Vancouver: Canadian War Museum, 2005. 178pp. 110 color illustrations, nine black and white photos, 3 maps. Non-personalized inscription by Dean F. Oliver on title page.. Signed by Author. Hard Cover. Near Fine/DJ Near Fine. Oblong Small Quarto. St. Johns: Newfoundland Dept. Of Tourism, 1977. 78pp.. Tenth Edition. Stapled Pictorial Soft Cover. VG+. Octavo. Toronto: CANAV Books, 1984. Complete details of the Royal Canadian Air Force and Canadian Air Forces Command. 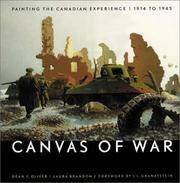 Traces developments in Canadian military aviation leading to the formation of the CAF in 1918 and the RCAF in 1924. With WWII the RCAF grew almost overnight into the world's fourth largest air force, training thousands of air crew and operating in every part of the world. 480pp.. 1st Printing. Hard Cover. Near Fine/DJ Near Fine. Thick Small Quarto. Don Mills: Musson Book Co., 1975. Hard Cover. Near Fine/DJ Near Fine (spine rubbed). Large Octavo. Toronto: University of Toronto Press, 1964. Gilt titles on black cloth. 382pp.. Hard Cover. Very Good (corners bumped)/DJ VG (1/4" edge tear). Large Octavo. Toronto: McClelland & Stewart, 1983. Hilarious and high-spirited air force-antics, an anecdotal history of the Royal Canadian Air Force from its origin in1924 to the time of unification in 1967. 263pp.. Hard Cover. Near Fine/DJ Near Fine (price clipped). Large Octavo. Toronto: McClelland & Stewart, 1984. 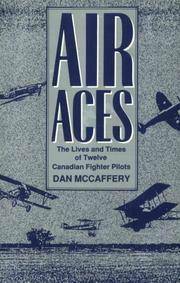 Amusing and serious anecdotes from the RCAF, this second book focussing on the women's division. 277pp.. Hard Cover. Near Fine/DJ Near Fine. Large Octavo. Montreal: Reader's Digest Association, 1974. Bright gilt pictorial titles on textured olive leatherette. 436pp + 23pp maps. 48pp booklet, 'The Provinces: A Reader's Digest Pocket Treasury,' laid in.. Hard Cover. Near Fine/DJ Very Good. Narrow Small Quarto. Richmond Hill: BMG Publishing Ltd., 1977. 5th Printing. Trade Paperback. Near Fine.